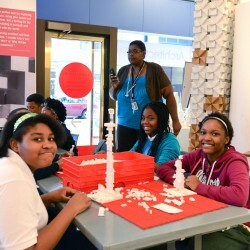 We’re so glad you are considering bringing your K-8 student group to the Chicago Architecture Center for an educational experience. If you are looking to book a workshop or tour for high school or college students, visit our Field Trips (age 14+) page. We ask that you make your request for a reservation at least six weeks in advance. Once we've received your reservation request, we’ll send a confirmation agreement specifying the date and time of your field trip (workshop or tour). To discuss what best fits your lesson plan, contact our group sales department at 312.322.1130. 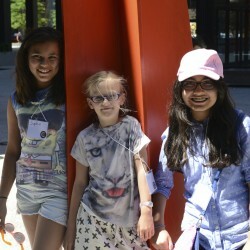 This 90-minute tour explores the CAC galleries through guided observation and hands-on activities. Learn about where Chicagoans live, neighborhoods that have changed over time, and how architects design buildings for specific communities. 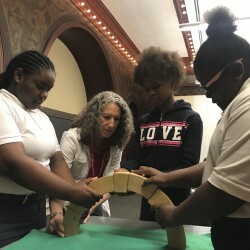 Geared specifically for early childhood learners, the 60-minute Building Blocks of Architecture walking tour introduces students to architecture and art, through guided, tactile activities. Have you ever wondered how buildings stand tall and strong? Find out in this 90-minute STEM (science, technology, engineering and math)-based field trip! 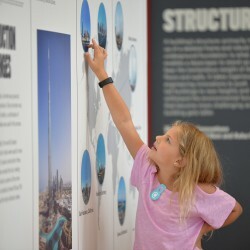 Students take part in an interactive workshop, then tour the Loop to discover the science behind tall buildings. Chicago: City of Architecture is a 90-minute walking tour that explores Chicago history through the lens of the city's architecture. It includes visits to iconic structures that showcase why Chicago is the city of architectural innovation. Please contact us about alternative days and times if these do not meet your needs. No charge for required chaperones. One chaperone is required for every five students. $10 for each additional adult. One chaperone is required for every five students. 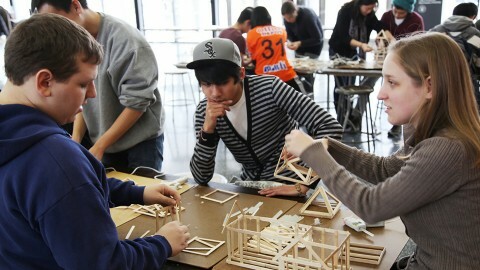 Bring your students to the CAC for workshop activity that will give them a hands-on architecture and design experience. This 90-minute studio experience combines interactive storytelling with a “make and take” project. 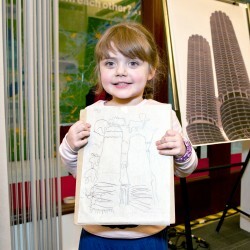 Hear a story with an architecture twist, then create a craft based on the story. For an additional fee, participants can leave with a copy of the book they read. Building with LEGO® is often the first step toward cultivating a mind for design. In this 90-minute workshop, CAC staff members guide students through design challenges using the Design Process, which includes planning, building and presenting their final creations. With a focus on math and design, this 90-minute workshop introduces students to an architect scale. It challenges them to practice using this tool, by designing and building a model in 1/4 inch scale. This 3-hour hands-on workshop explores urban planning, community development and city systems. 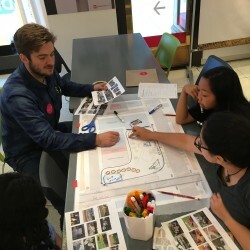 Students will consider the question, “What makes a good neighborhood?” and use the design process to create neighborhoods from scratch with a team. NOTE A $250 minimum is required when booking a 90-minute workshop. No charge for required chaperones. One chaperone is required for every five students. $15 for each additional adult. NOTE A $375 minimum is required when booking a 3-hour workshop. Talk to our group sales department about booking your student group today.